In Camas, dem Abenteuer- und Erlebniszentrum der Gemeinschaft auf der Insel Mull ist das neue Programm für „New Members“ gestartet. Ihr werdet sicher beruhigt sein, dass schwimmen im Meer vor dem Frühstück nicht zum Pflichtprogramm gehört. Whilst some Members and staff are getting ready for Greenbelt, the Leader (Michael Marten) and another Member (Liz Paterson) are at Camas on Mull for a week of work and community with the New Members. We began yesterday evening in the Chapel of the Nets with a reflection on our place at Camas, and today begin work – garden, track, household repairs – with the opportunity for activities (kayaking is planned for this morning) when not working. And yes, that last photo is of a footprint from a staff/New Member completing the Camas Iron Challenge – swimming in the sea before breakfast! It's important to note that this is NOT an obligatory part of the New Members Programme!! 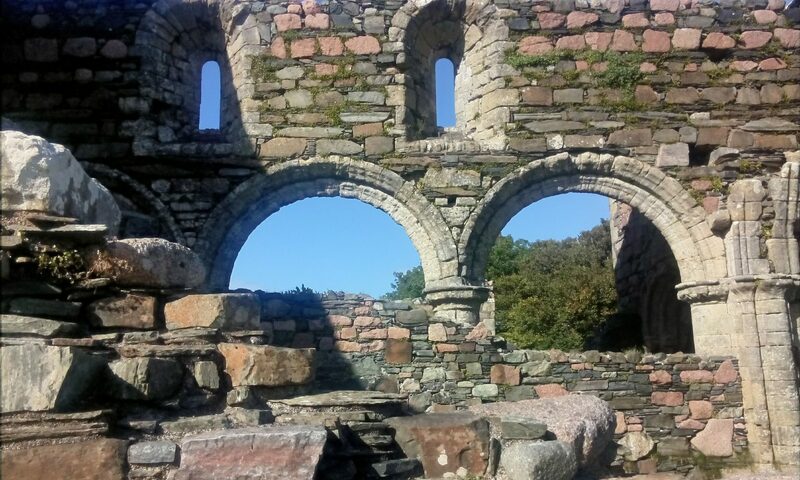 If you have been an Associate Member for at least two years and are interested in joining the Community as a full Member, do get in touch with us: admin@iona.org.uk.